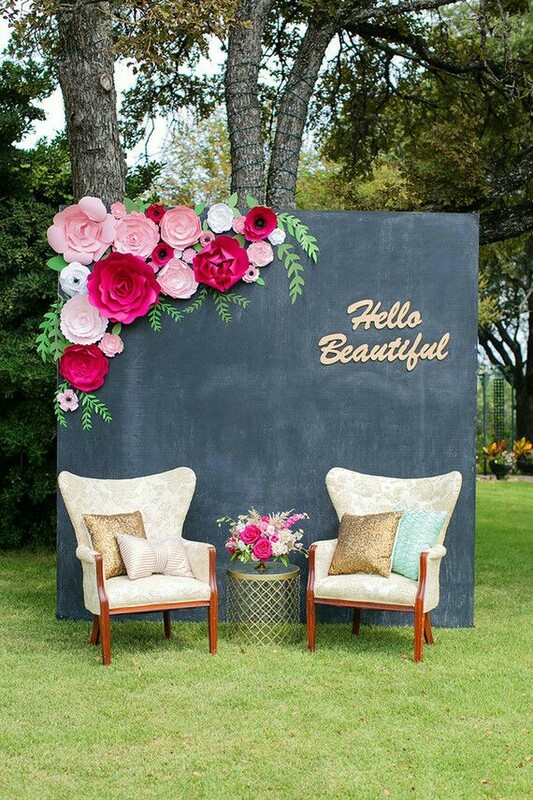 I think this idea is really cool especially if pairing paper flowers on a chalkboard backdrop. 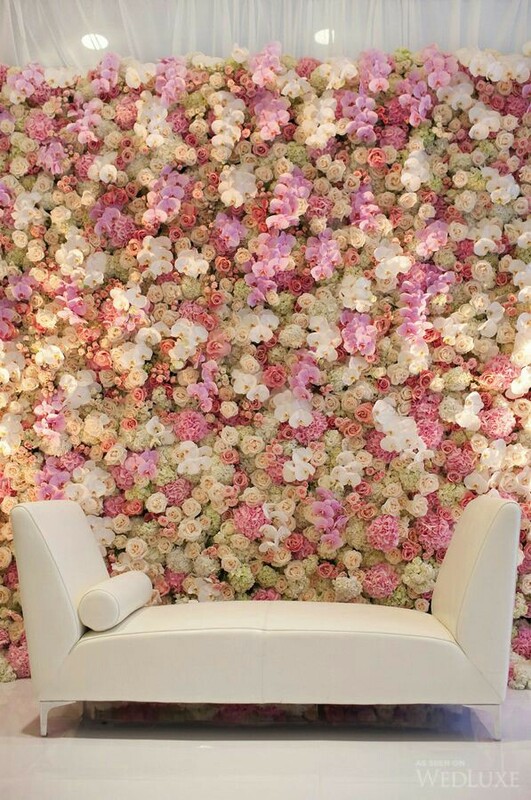 You could have your guest sign the wall and have a mural of signatures as opposed to a tradition guestbook.. 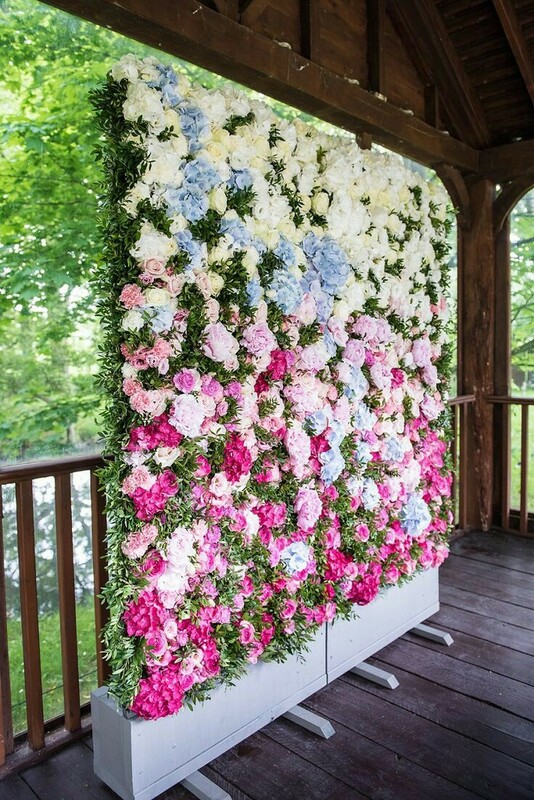 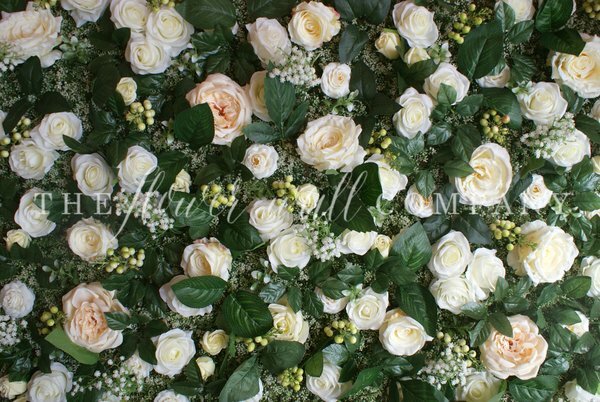 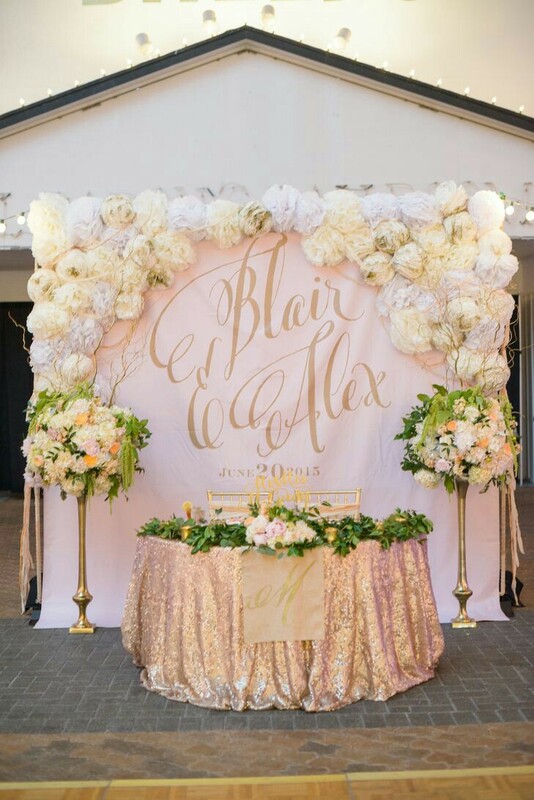 The floral walls can serve as photobooth backdrops or hide eyesores at a venue…. 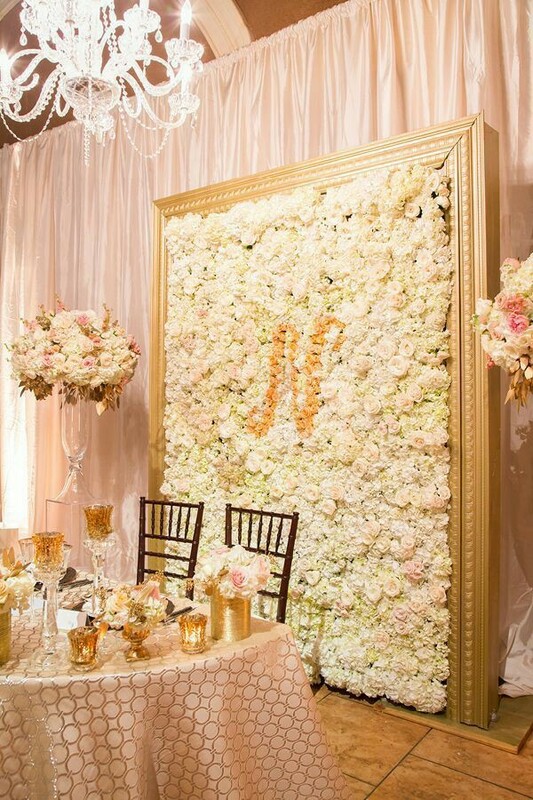 This frame one is really cool with the monogram….